X-Men: Days of Future Past takes several years after the previous X-Men films in a world where mutants and those that have the potential to produce mutant offspring are either subjugated into concentration camps or are on the run from powerful robotic Sentinels that rule the new world. To prevent this terrible future from happening, Wolverine is sent back to the 70s to stop an event that sparked the war. With 14 years and six films, the X-Men franchise has had a somewhat confusing continuity, and Days of Future Past bridges the gap between the two timelines setup in the original X-Men trilogy and the First Class film. 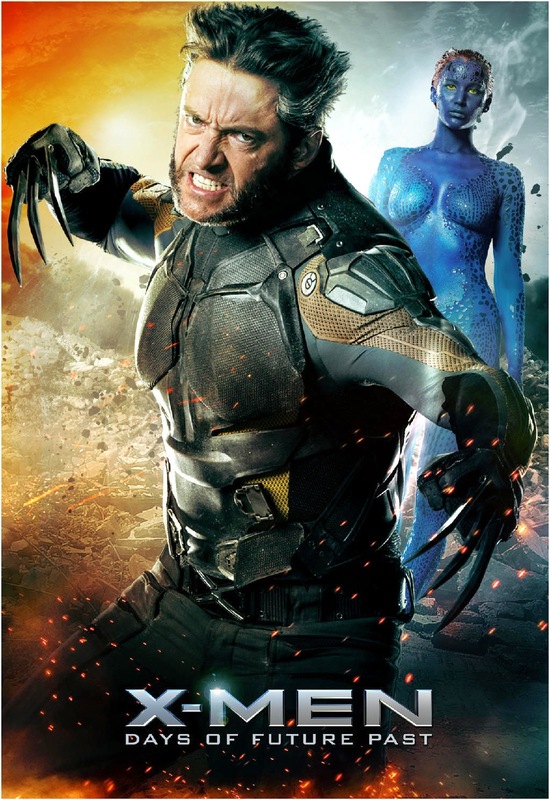 Even though there are still a few minor continuity errors that are not entirely explained, considering what has happened to the franchise since Bryan Singer left, he was able to fix just about everything in Days of Future Past to near perfection, while simultaneously crafting an exceptional film that is one of the best comic book films to date. Plot: 10/10- Time-travel stories are difficult to write even when the entire film is focused on that one element, and as a massive fan of time-travel stories, spotting dodgy and inconsistent time-travel logic is not hard, yet Days of Future Past manages to craft a time-travel story that actually makes logical sense (or at least as logical as time-travel can be)! In other areas of the plot, Days of Future Past excels with brisk pacing that is never too fast or slow, reinforcement of the themes the X-Men franchise is founded on, and enough geeky references to make a fan giddy with delight. However, the movie does rely on the viewer's knowledge of the previous X-Men movies to obtain the full effect, and since I have seen all of the X-Men films multiple times, I was able to catch just about everything, but the casual viewer might become lost. The movie continues to throw in several very shocking plot twists, many of which made me audibly gasp. Additionally, Bryan Singer's pitch perfect tone captures the feel of the comics much more so than his previous work on the franchise. Characterization: 10/10- Despite the enormous cast, the film is able to manage them skillfully. 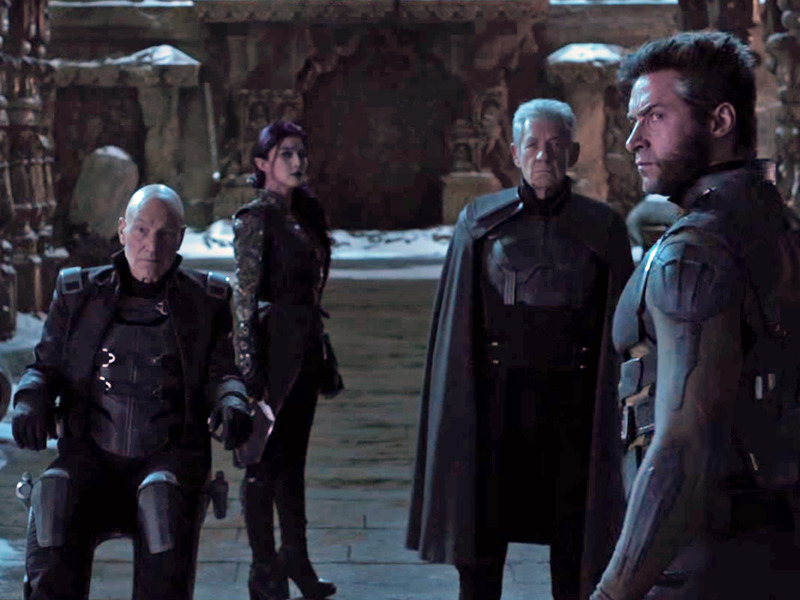 As with most X-Men films, Wolverine is the central character at first; however, Xavier, Erik (Magneto), Beast, and Mystique (mostly the younger versions) all receive ample development. In fact, the broken friendship between Xavier and Erik is possibly the strongest and most compelling aspect of the entire film. After seeing what has happened to the characters in both the future and the past, the conflict between the two characters is extremely effective. Mystique's character arc often surprised me with the direction it took and the amount of depth given to it considering the screen time available. Despite everyone's initial skepticism about the character Quicksilver (myself included), let me say, without a doubt, that his scenes are worth price of admission alone. Seriously, you have to see them to believe it. Many of the characters from the original X-Men trilogy return and with the exception of Storm, I am fairly attached to these characters from previous films, particularly my one of personal favorite characters from the comics, Iceman. *Possible Spoilers* So, if you are also a fan of the movies and are still attached to some of these characters, prepare for a few heart wrenching moments of shock. *End Spoilers* In addition to all of these characters, there are other new mutants that are introduced like Blink, whose powers are amazing, and Bishop. While the new characters are more like extras in the battle scenes, there have never been cooler extras in a film. One aspect of the film that is often criticized is the motivations of the antagonist Bolivar Trask. While his character is not given a lot of depth, why does a military contractor need more motivations than money, the pursuit of science, and possible fame? That is often what motivates real life military contractors. Action/Direction: 9.9/10- X-Men has always been unique in the fact that there are always such a large variety of mutant powers on display in film, and with ten years since Bryan Singer's last X-Men movie, he capitalizes on the opportunity for some awesome and inventive action set pieces. While the action is not on par with that of this year's The Winter Soldier, it is certainly an impressive effort, particularly anything that involves Quicksilver. In general, Bryan Singer's direction is spot on with some unique techniques and absolutely zero shaky-cam! Blink's powers are freaking awesome! Acting: 10/10- Days of Future Past's cast is huge! From Jackman's iconic portrayal of Wolverine to Michael Fassbender's brilliant rage to Patrick Stewart's gravitas, everyone is flawless. James McAvoy's performance is even more compelling than his last outing, and Jennifer Lawrence is well, the same J-Law that we all know and love, but darker and more conflicted this time around. Evan Peters as Quicksilver is another standout among the exceptional cast. Fortunately, even the horribly miscast Halle Berry is barely given any speaking lines to distract from the film. Special effects: 9.8/10- Days of Future Past's special effects are its only weaker element since some of the mutant powers are not on par with the Marvel Cinematic universe in the larger action scenes. However, the special effects for Quicksilver boost the score substantially thanks to the best portrayal of superspeed in any film. Also, the practical makeup effects for Mystique and especially Beast were superb and very believable. Soundtrack: 9.5/10- John Ottman returns to score the film, and his return is more than welcome. He combines elements of the brilliant First Class score with the original theme, which reminded me how good it was in the first place. Entertainment Value: 10/10- When I was not on the edge-of-seat in suspense or having my jaw drop to the floor, I probably had the dumbest looking grim on my face because I was in pure nerdy bliss. The X-Men are back and better than ever, and my favorite Silver-Age comic story is perfectly adapted. I have not been happier watching a movie since Captain America: The Winter Soldier. Overall: 10/10- Overall, X-Men: Days of Future Past is an exceptional experience that has the heart, themes, action, and characters that made the franchise and comic so great in the first place. And yes, I have done it again, another 10 out of 10, and on my scale less than 13 films have received such a rating, so know that I do not throw the rating around lightly. 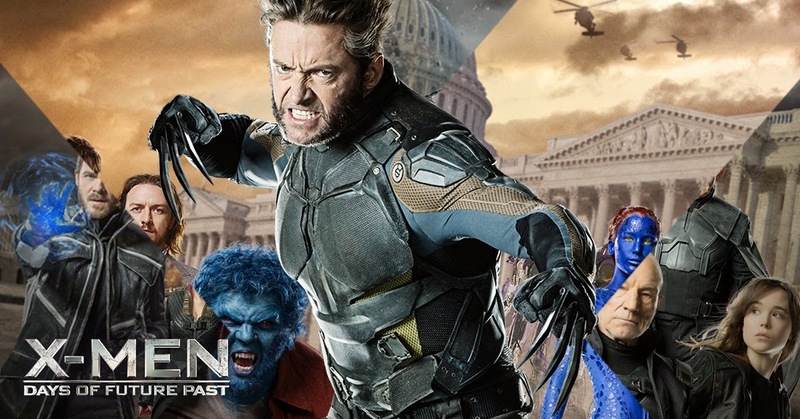 Closing comments: X-Men: Days of Future Past has finally given us the an X-Men film that is on-par with Marvel's Cinematic Universe, as well as providing an excellent foundation on which to build the rest of the franchise on in the future. Note however, if you are not a fan of the X-Men films in some capacity, you will likely not find the movie as enjoyable and satisfying as I have. Please check back tomorrow for my review of Snowpiercer.